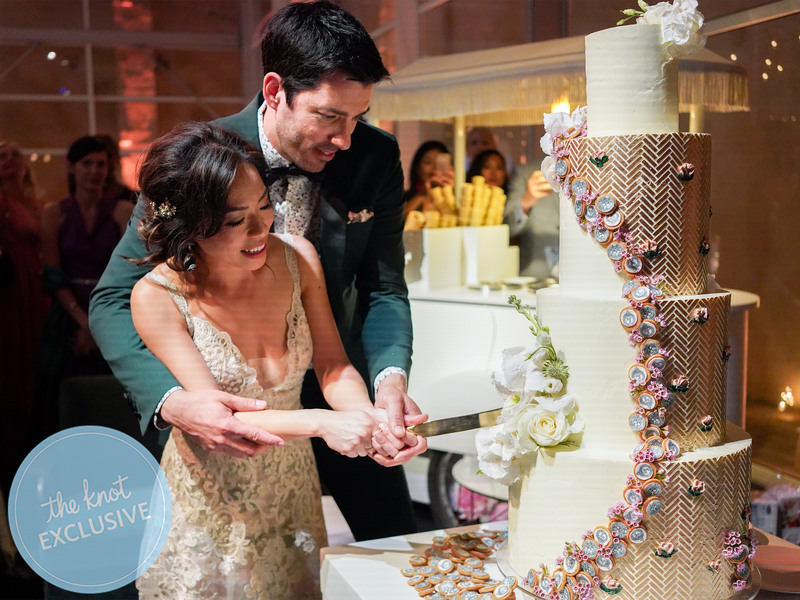 When Property Brothers star Drew Scott and his love, Linda Phan, got hitched in Italy on May 12, they were coming off a whirlwind few months with the filming of their spinoff show while traveling from locale to locale to document yet another HGTV series. “We wanted to make sure that our wedding felt very personal and that every detail had our signatures on it,” Phan, 33, tells The Knot. 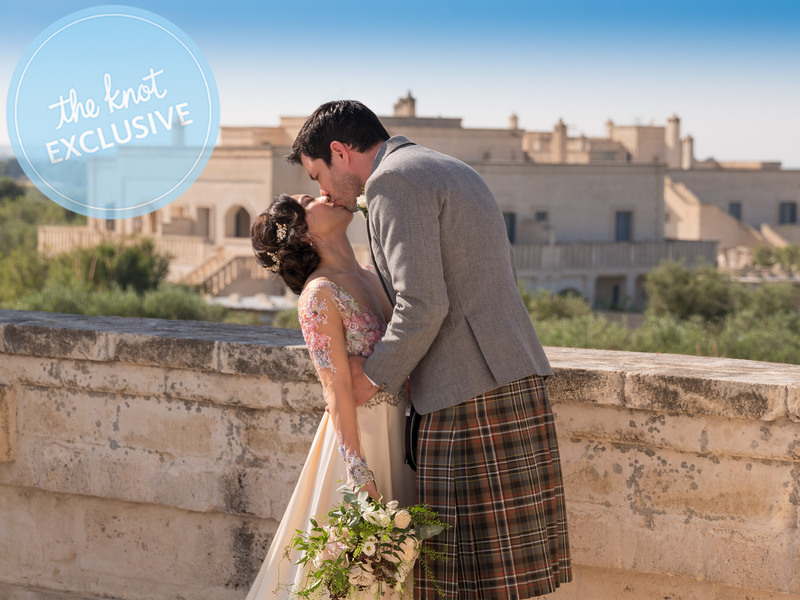 Among the details that Phan and Scott, 40, wanted to highlight were elements from both of their heritages (they held a Chinese tea ceremony the day after the wedding, and Scott wore a traditional Scottish kilt and tuxedo for the ceremony). Sustainability was also a focus with the couple partnering with WE to tie their wedding to their passion for access to clean water and charitable causes. 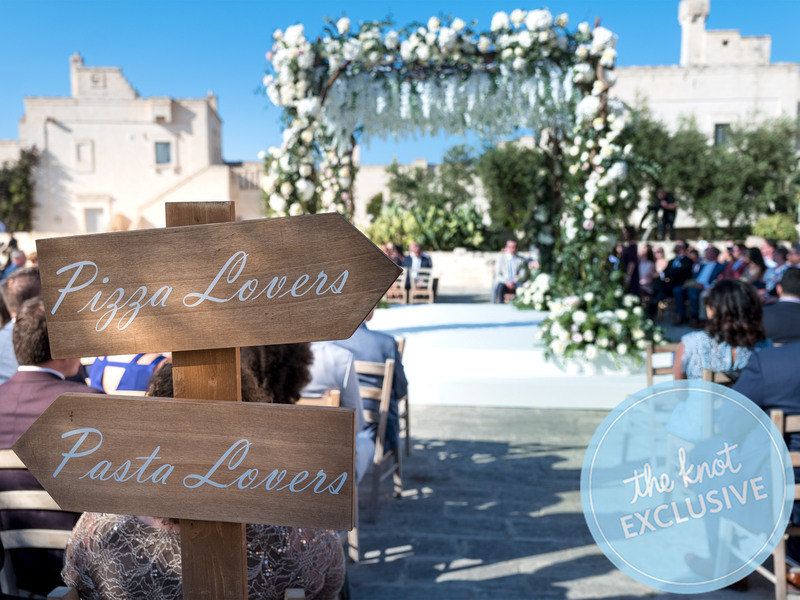 Finally, dance was essential and the bride and groom, with their wedding party, performed a number choreographed by Scott’s former Dancing With the Stars partner Emma Slater and her husband, Sasha Farber. 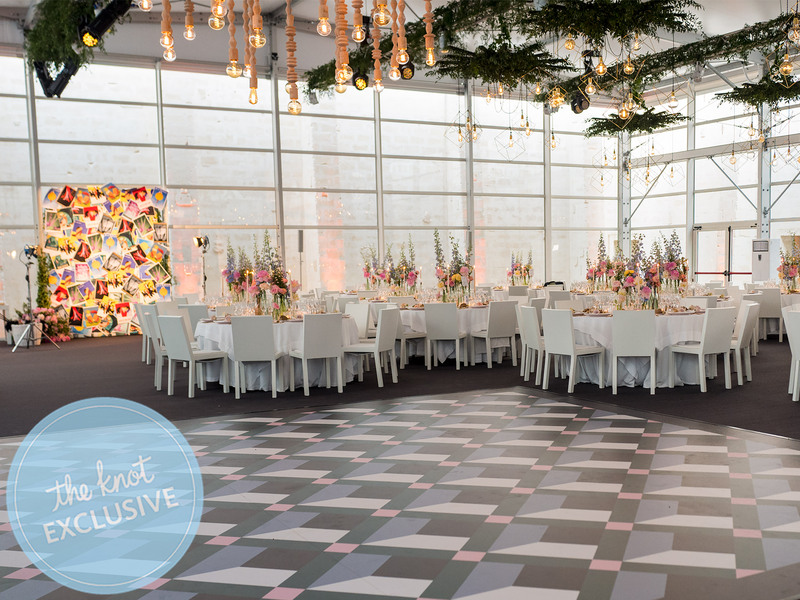 Get all the inside scoop on the couple’s scenic, thoughtfully orchestrated wedding below. Both Phan’s wedding and reception dresses were designs by L.A.-based designer Claire Pettibone. 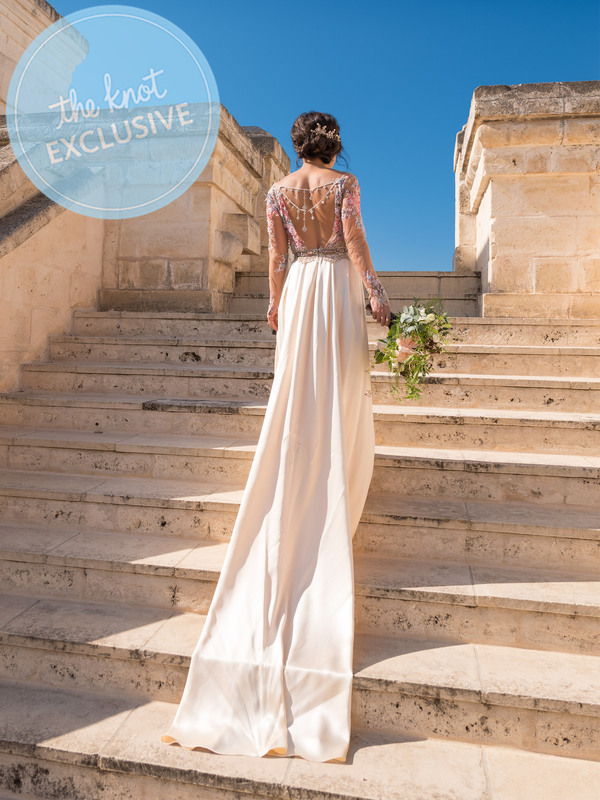 Her wedding gown featured a cathedral-length train, as well as hand-beaded silk floral detailing across the sleeves and the bodice of the gown. The dress featured an open back while the waist of the gown featured hand-beaded pearls and lace. For her reception, Phan changed into a more fitted-style dress. “This one was an almond, cream-layered lace dress and didn’t have a train so that I could dance the night away,” she says. Scott’s outfit for the big day held a great deal of significance as well. 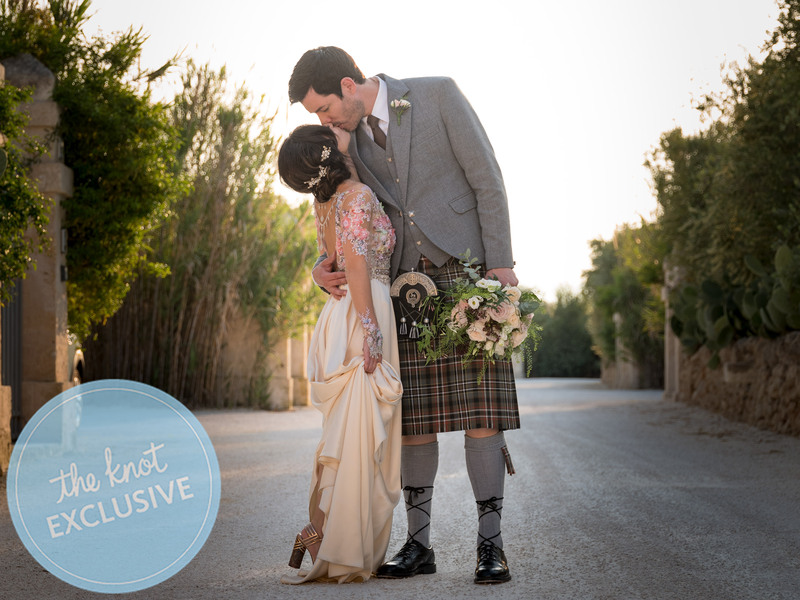 The HGTV star donned a traditional Scottish kilt and tuxedo by Claymore Imports during the wedding ceremony itself to honor his Scottish heritage. The kilt was a Scott clan tartan (Scott Green Weathered), and his accessories, like the sporran, even bore the Scott family crest. 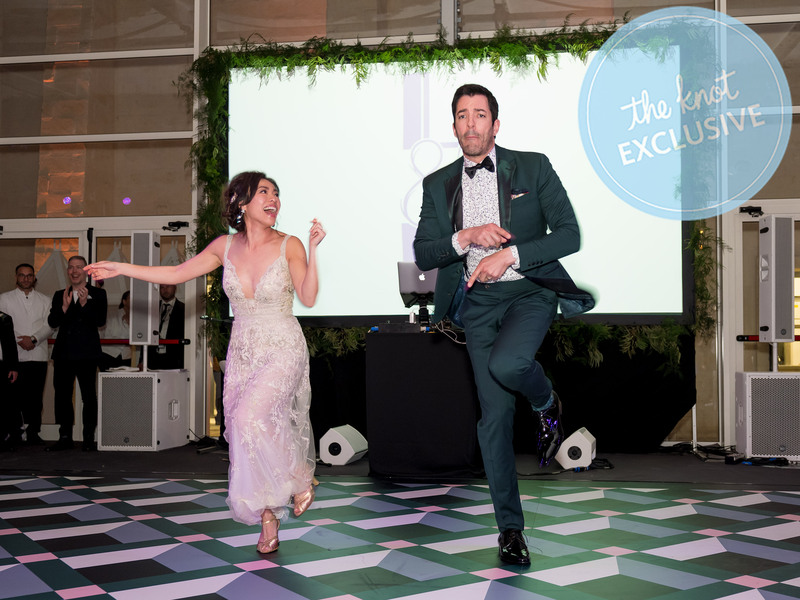 Scott changed for the reception, donning a sleek custom dark green tuxedo by GotStyle, which also has its own fun backstory: the couple’s good friends Charlotte and Wes were the reason they had met in the first place, at a GotStyle fashion show, of all places! Scott’s dark green tuxedo also fit right in with the couple’s colors for the evening, a blush and emerald combination. 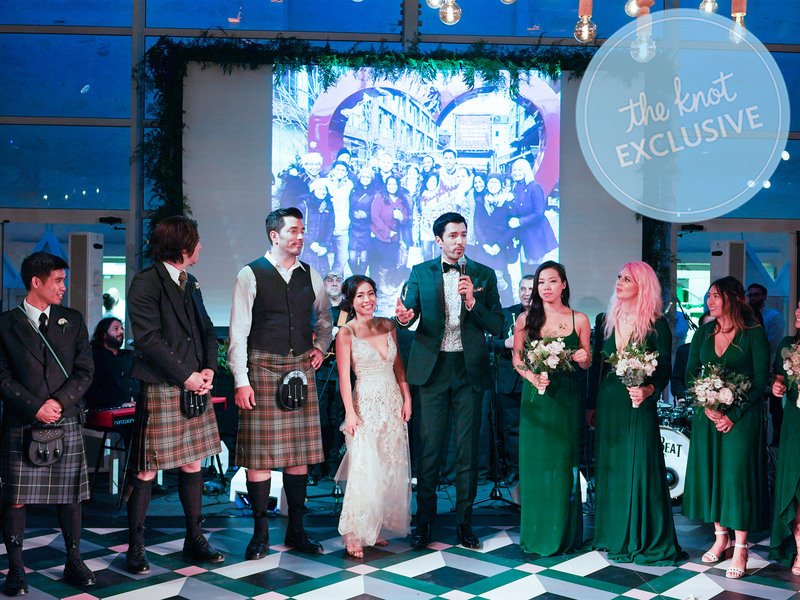 Phan managed to incorporate those colors into her own dress, the bridesmaids’ dresses (they were a deep emerald green), the ceremony and the reception. 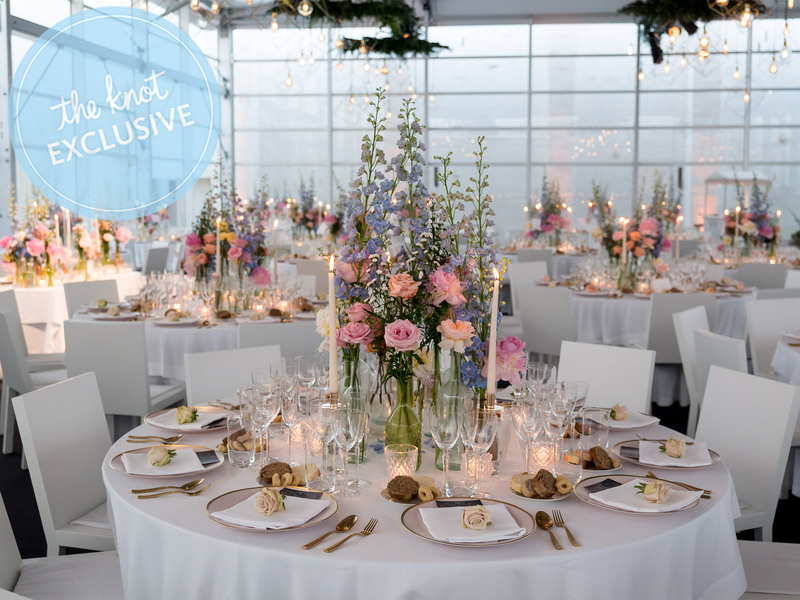 The couple worked with florist Vincenzo Dascanio, who designed all of the centerpieces, the altar, and Phan’s bouquet (comprised of white lisianthus, white stock, Jasmine leaves, a mix of roses, myrtle berries, green bell leaves and eucalyptus leaves). 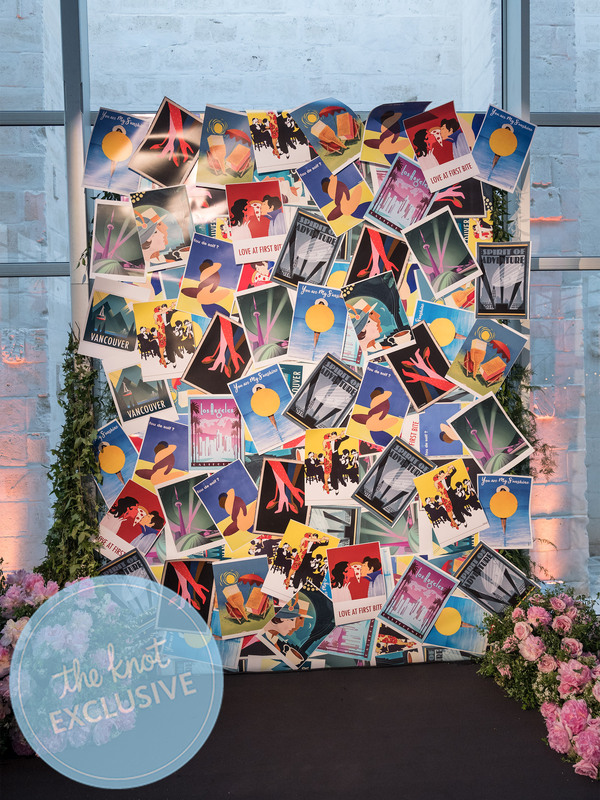 The professional based the arrangements off mood boards that the couple provided in the lead up to the wedding. Scott was escorted down the aisle by his mother and Phan’s mother, and she was escorted down the aisle by both her own father and her father-in-law, Scott’s father. The next day, the two families also hosted a traditional Chinese tea ceremony. The newlyweds entered the reception to—what else?—Beyonce’s “Crazy in Love.” Their dear friend Wes (who had helped introduce the pair) DJ’d the evening, and played a wide range of hits and classics, ranging from Leon Bridges to Cardi B to Chet Baker. The couple had a surprise in store for their guests as well, with an elaborate, performed dance with their bridal party, choreographed by Slater and Farber. The food at the cocktail hour and reception was definitely something to write home about. 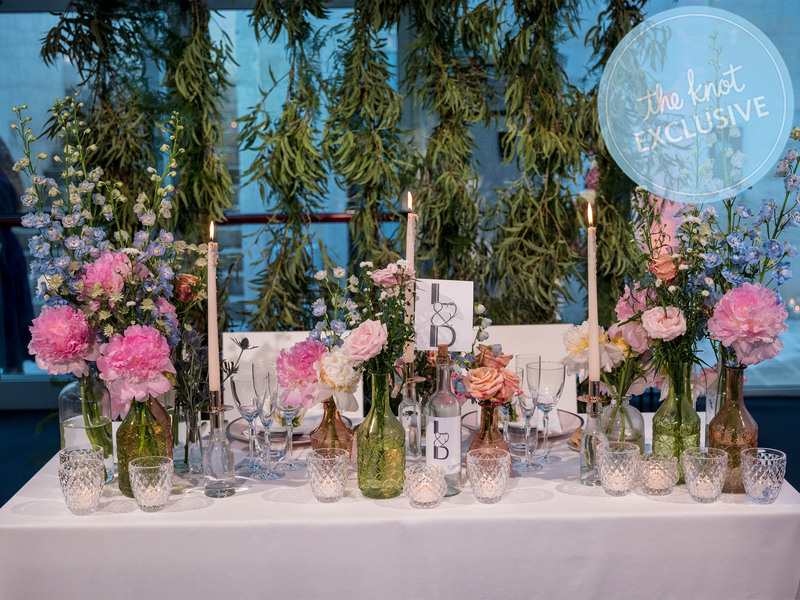 According to Phan, the menu included a buffet of appetizers, followed by three courses, a dessert buffet and of course, the wedding cake created by Cake Hunters. Dinner included potato-and-saffron gnocchi, turnip-top risotto and beef sirloin with grape reduction. The cake was created by Butter&, a bakery based in San Francisco (the process was documented on Food Network’s Wedding Cake Countdown on an episode that aired June 25), and featured four tiers, each with a different-flavored filling: vanilla with goat cheese and strawberry balsamic vinaigrette, organic not-so-red red velvet, carrot and chocolate hazelnut. For decoration, the design of the couple’s L.A. home floorboards was incorporated into the cake, along with elements from both their Scottish and Chinese heritage. 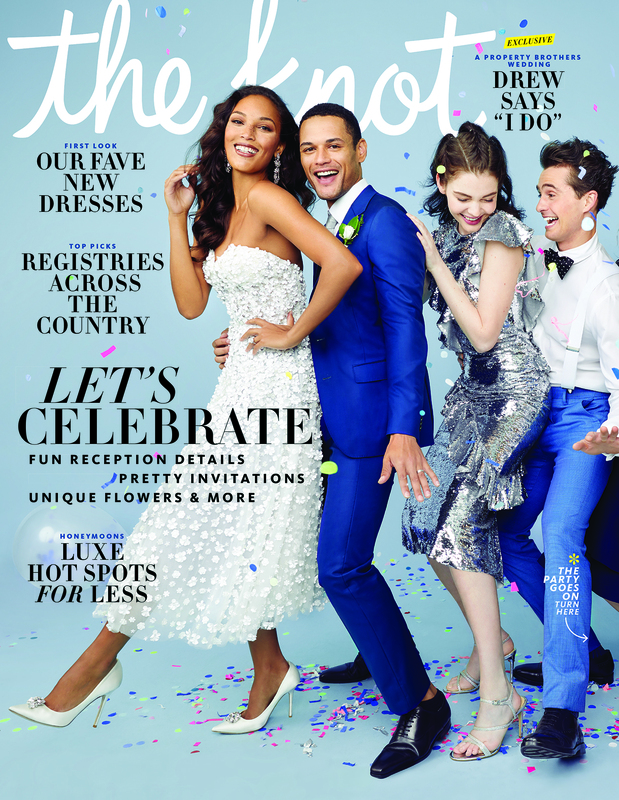 See more exclusive photos and get more details from the couple’s wedding in The Knot’s Fall 2018 issue, on newsstands now. 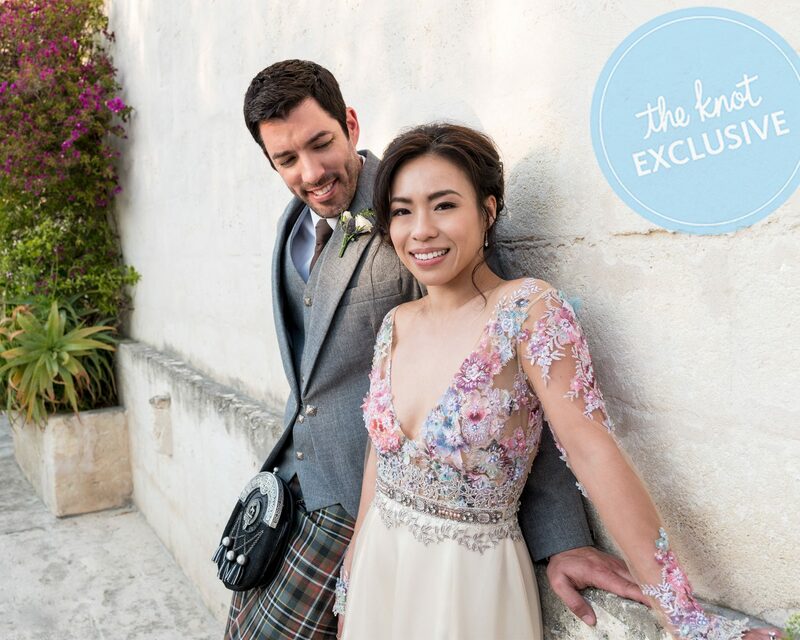 Be the first to comment on "Exclusive: Property Brothers’ Drew Scott and Linda Phan Detail Their “Very Personal” Italian Wedding"